"Karl Marx Year - 2018". 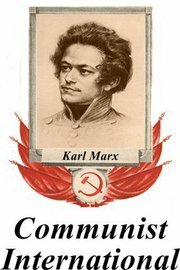 Long live the 200th birthday of Karl Marx ! 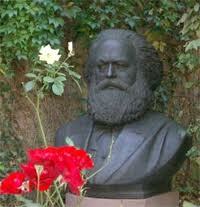 We greet all the Marxists throughout the world, because today we celebrate the 200th birthday of Karl Marx. Today is the birthday of one of the greatest revolutionaries of human history. The Comintern (SH) decided to celebrate the year 2018 as the "YEAR OF KARL MARX". As the leader of the proletarians of all countries, Karl Marx has put all his revolutionary thinking and his selfless revolutionary activities in the service of the liberation of the international working class. Karl Marx was the founder of scientific communism. He created the ideology of the proletariat and became the great leader and teacher of the world proletariat. There is no ideology in the world that has been betrayed and distorted more than Marxism. Today, on the occasion of the 200th birthday, we are preparing ourselves for the ideological battle against the Marx falsifiers of all directions. Let us concentrate on the struggle against the neo-revisionists. They withhold the truth, namely that the modern revisionists masked the restoration of capitalism with Marxism. The neo-revisionists try this, just for the purpose to prevent the restoration of socialism by means of the re-establishment of the power of the revisionists. "All I know is that I'm not a Marxist." This alleged statement by Karl Marx is the favorite slogan of anti-Marxist mainstream propaganda on occasion of his 200th birthday. "Defeat Marxists with Marx" - that's according to the taste of the bourgeois media. Marx, the self-proclaimed "opponent of Marxism"? Yes, how crazy is that, please? Whether this quote is true is not at all proven. This statement is only mentioned in a letter from Friedrich Engels to Conrad Schmidt dated 5 August 1890 (MEW volume 37, page 436), ie long after Marx's death. 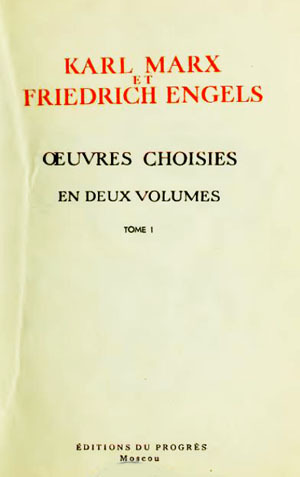 Friedrich Engels explains there that Marx simply wanted to respond to the saying of the so-called French "Marxists": "Tout ce que je sais, c'est que je ne suis pas Marxiste". Marx was furious with those "Marxists" who operated label frauds in his name. So, if this is to be "Marxism", what these scribblers wrote down, then I am not a "Marxist" either. In this way Marx wanted to give a decisive rebuff to all opponents of his doctrine who were trying to sell their bourgeois ideology under the label of "Marxism." And indeed, this is one of our central tasks to this day, on his 200th birthday, to consistently continue Marx's own fight against any kind of falsification in the name of his teaching. We know very well that this struggle will not end until bourgeois ideology is finally defeated and that it would never again be able to disguise itself with the guise of "Marxism" to deceive the working class. The 200th Birthday is the parting of the ways. The rulers celebrate the 200th anniversary as a manifestation of the 200-year-long "superiority" of capitalism over communism. 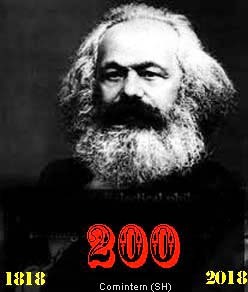 With his 200th birthday they celebrate the alleged moribund "end" of the teachings of Marx. They "honor" his 200th birthday with the swansong of a funeral mass. On the other hand, all the oppressed of the world, the peoples enslaved by world imperialism, are celebrating his 200th birthday as the birthday of the Creator of the doctrine of world revolution, the liberation from capitalist slavery. They celebrate Marx, who shows them the way to end the rule of the 1% who privately appropriated all the wealth created by 99% of the world's population. They celebrate the 200th anniversary of the man who founded the science of the victory of socialism in all countries, who created the science of building the communist society. They know that the teachings of Marx are invincible and immortal in spite of all lies of the world bourgeoisie. In the bourgeois media, communism begins and simultaneously ends with Marx and Engels. Today, the bourgeois historians assign Marx and Engels to the advocates of the so-called "non-totalitarian communism". Later, communism was allegedly "abused" by power-obsessed "mass murderers" - exactly in the spirit of the anti-communist doctrine of "totalitarianism" (pluralistic equating of fascism and communism). They measure Lenin, Stalin, Mao, and Che Guevara by the same yardstick what is indicative of today's bourgeois propaganda of anti-communism, for Lenin and Stalin were, in truth, the most loyal Marxists of their time - Mao and Che Guevara can not claim. And the name of Enver Hoxha? He'll just not mentioned to let him sink into insignificance. Enver Hoxha was and is the last great Marxist in human history. The ruling class, which has the material power, also has the spiritual power. Being (of world capitalism) determines conciousness (of anti-Marxism). And the bourgeois German filmmakers? They know how to cleverly transform this greatest scientist of all time into the tragic figure of a "German prophet". Marx in the main role of the Prophet? Yes, how crazy is that? Anyone who has read Marx knows full well that Marx has always mocked the prophets. And anyone who has not read Marx knows at least the famous Marx quote - "Religion is Opium for the People". Well, you do not even have to watch the movie "Marx-the German Prophet" to see through the film makers' true intentions. Religion was and still is one of the typical sources of Anti-Marxism. In contrast to his predecessors, the socialist utopians, Karl Marx did not engage in prophetic future versions of any do-gooders, but he concentrated with all scientific rigor on the real existing capitalist society, whose functioning he analyzed. 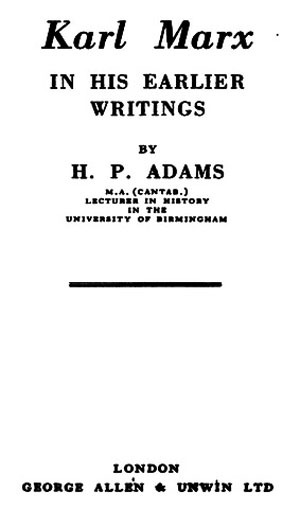 He disclosed the economic secrets of capitalist exploitation and discovered the economic law of motion of capitalist society. 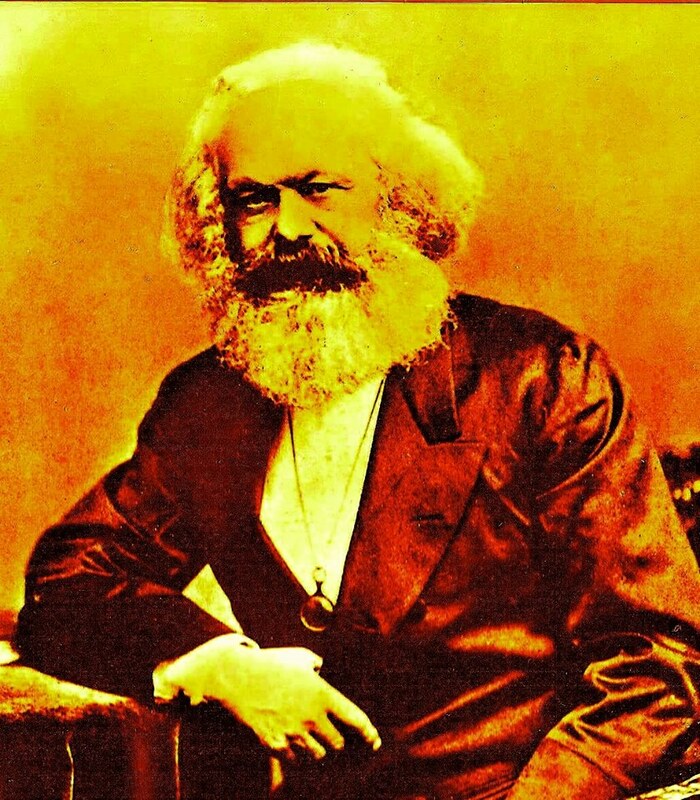 Political economy, Dialectical and Historical materialism, and the socialist science of the revolutionary role of the proletariat in the class struggle against capitalism and for communism - all of this has Karl Marx summarized historically in a closed scientific doctrine, which we call Marxism. The bourgeois filmmakers, however, did not want to have an actor who portraits Karl Marx as he really was, namely as the creator of scientific socialism, as the leader of the world proletariat. 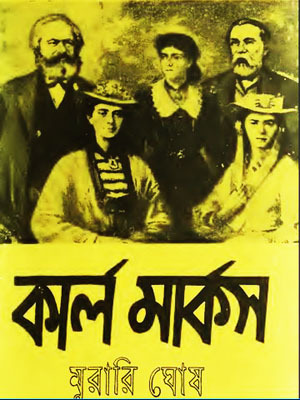 Rather, the filmmakers turned their anti-Marxist film over with the intention that society would buy them the role of Karl Marx as a "tragic figure" at face value. Which actor would suit better than Mario Adorf? After all, Mario Adorf played the fascist Mussolini, had appeared in the role of a psychopathic murderer of women and then became famous for all his villainous roles - apparently for the filmmakers ideally suited for the role of Karl Marx, who "in truth", would have been sponsored by his capitalist friend, the factory owner Engels. Thus, the bourgeoisie beats her chest: "Look. 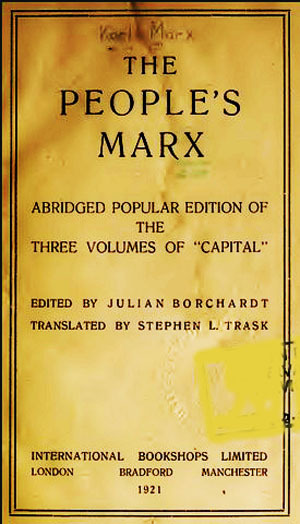 Without the help of the capitalists, Marx could not have written his 'Capital'". Should the workers be supposed to thank the bourgeoisie for that it was a capitalist who helped Marx to his scientific work? After 200 years, one has begun to gradually integrate Marx into today's capitalist society, and his personality, his scientific treasures, etc., are transferred into a " privacy" , in which capitalists can buy and sold property rights. The protection of private property, copyright, etc., is a capitalist tool of profit. And so Karl Marx is transformed into a commodity that can be profitably marketed. With the Marx-trademark of books, films, t-shirts, drinking cups with a picture of Karl Marx on it, one makes profit today. 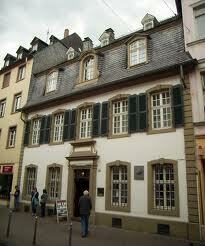 For example, the German birthplace of Trier was turned into a tourist site attraction for his 200th birthday. The city has become completely and utterly a great "Marx" -souvenir shop. 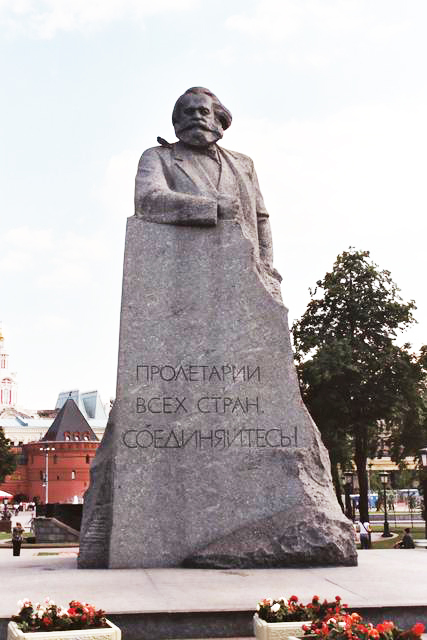 Karl Marx is a World Heritage Site and serves the general public. But it is a "taboo!" within the capitalist society of today if the tolerence towards Karl Marx is violated by some crazy people who "misuse" his teachings as a guide to the revolutionary overthrow of capitalism. 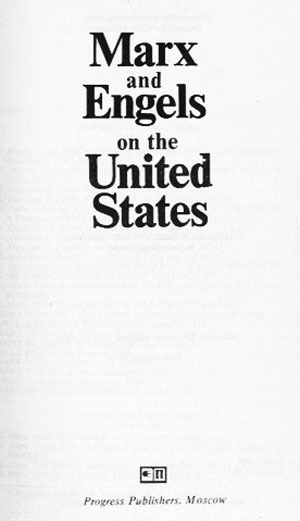 To be a Marxist today means to preserve and further develop the great treasure of the teachings of the 5 Classics, to apply and implement their doctrines on the battlefield of international class struggle and to bequeath them to generations to come, namely for creating (and protecting) the future communist world society. 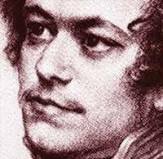 On his 200th birthday, the bourgeoisie is no longer terrified of a specter of communism. At any rate, the bourgeoisie acts as if. The bourgeoisie demonstrates increasingly "merciful sympathy" with Karl Marx, because he was "falsly" considering capitalism as to be surmountable. Moreover, today, the bourgeoisie cheekily plays Marx's "defender" by labeling as "falsification" and "abuse" all that which came after Marx. 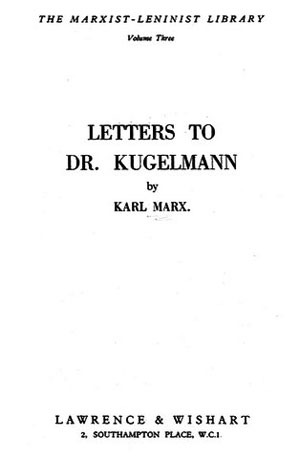 A Karl Marx, who could only dream of the power of the proletariat, and yet was unable to overcome capitalism in his time, is of course far better off in the judgment of bourgeois propaganda than a Lenin, Stalin or Enver Hoxha, who all have successfully defeated capitalism with the help of Marx's revolutionary doctrine, who have eliminated the bourgeoisie and her exploiting state, who established the dictatorship of the proletariat, and who realized socialism. The separation of Marx's doctrine from Leninism-Stalinism-Hoxhaism - this is, on the 200th anniversary, the whole phenomenology of bourgeois anti-communist ideology. 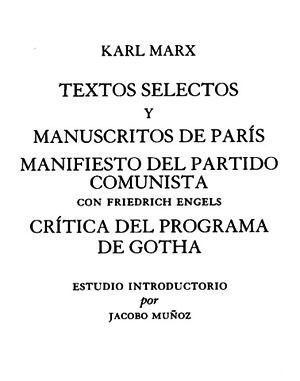 Anyone who tries to separate Marx and Engels from Lenin, Stalin and Enver Hoxha and splits their teachings into "good" and "evil" may in words be a "defender" of Marx, but is in deeds an opponent of Marx! This is our Stalinist response to all the different kinds of hypocritical "Marx supporters" celebrating his 200th birthday today! 99% of those who today call themselves "Marxists" are in fact anti-Marxists. In the eyes of the bourgeoisie, Karl Marx is incomparable to the alleged "dictators" and "mass murderers" such as Lenin, Stalin or Enver Hoxha. The bourgeoisie accuses them of "lying" and "cheating" the masses. They even allegedly killed "90 million innocent people" and committed other "atrocities". The bourgeoisie has always attributed her own atrocities falsly on the Communists and defends capitalism - in contrast to socialism - as a "free" form of society "without" exploitation and oppression. "Communists" who leave capitalism intact and bow to the will of the bourgeoisie are the only "communists" to the taste of the rulers. Everything else does not fall under the term of communists, but receives the old-known labels: "Extreme left-wingers. Terrorists. Rioters. Violent criminals. Left rabble. Public enemies. Lawbreakers - just similar as Karl Marx was once branded by the bourgeoisie. 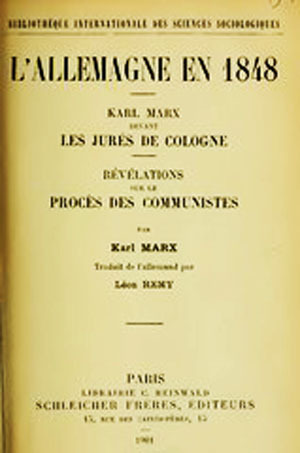 He founded with Engels the League of Communists and because of his involvement in the revolution of 1848 Marx was accused in Cologne of high treason, and then had to flee as a "stateless person" from the Prussian rogue state. 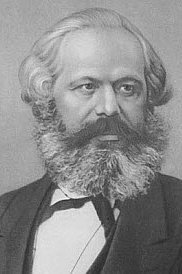 The German state which had deprived Marx from citizenship , has never given back to him his citizenship, even not on his 200th birthday! How has the bourgeoisie been treating the Marxists such as Lenin and Stalin? Not otherwise. They lived banned in Siberia, languished in prisons, fled into exile. And Rosa Luxemburg, Karl Liebknecht and Ernst Thälmann, they were murdered by the same state that deprived Marx of his citizenship, the same state that, today, deports refugees to countries that condemn them to death or put them in jail. What makes this method different from the concentration camps of the Nazis, who called Marx a "Jewisch pig"and who slaughtered hundreds of Thousands of Marxists ? And all these crimes against which Karl Marx fought in his day are continuing today, on his 200th birthday - and to an extent that surpasses all the crimes of the 19th and 20th century! If Karl Marx would live today, he would have written further volumes of "Capital" on the crimes of capitalism in the 21st century, namely on the globalized slave system of world imperialism. Well, just as Marxism has further developed since Marx, so has anti-Marxism developed further, has it devoped new forms, it is ever better camouflaged, and does adapt itself to the present situation. In order to deceive the workers, anti-Marxism already used the cloak of "Marxism" during Marx's and Engels' lifetime. For us Stalinist-Hoxhaists, communism may not forced upon the peoples. What was imposed on the peoples was not communism, but social fascism, that was the reign of terror of the modern revisionists, who restored capitalism under the guise of "communism." A Marx served these new tsars only to camouflage their betrayal. To blame us communists for the crimes of the revisionists that is the well-tried propaganda weapon from the imperialist arsenal of anti-communism ("revisionism = communism"). Revisionism is capitalism and not communism ! The history of revisionism is as old as Marxism itself. In many writings we have already described the history of anti-Marxism in the guise of "Marxism", which is why we want to come back here to the entrance slogan: "All I know is that I'm not a Marxist." It is nothing spectacular, if Marx would have said this. Does this in any way damage the great meaning of Marxism as the most important scientific doctrine in human history ? Not at all. Marx and Engels have always resolutely opposed to those who attempted to create a personality cult around them. Marx considered himself always as a representative of international socialism and therefore did not belong in any country to a Marxist party. He was the founder and leader of the First International, the representative of the world proletariat. As to whose disciple should Marx have count himself ? He himself was the founder and great teacher of the proletarian world-view and nobody else before him. 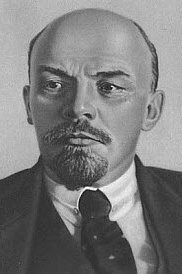 Did Lenin call himself a Leninist? No, he did not. 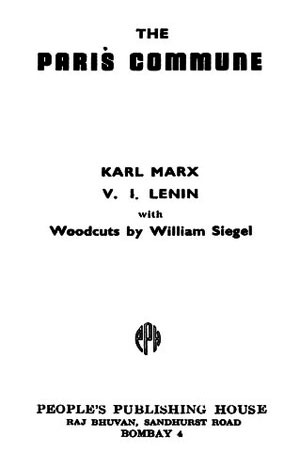 Lenin always considered himself as a disciple of Marx and Engels. And Stalin? Did Stalin call himself a Stalinist? No, he did not. He has always considered himself a disciple of Lenin, namely until his murder. And so Enver Hoxha also did not call himself a Hoxhaist. He has always considered himself a disciple of Stalin. We have always been faithful followers of Marx, Engels, Lenin, Stalin and Enver Hoxha, who called themselves Marxists, Leninists, Stalinists, Hoxhaists, - in contrast to the bourgeoisie, who use our names as anti-communist curse words. What's in a name? We care not in names. In the first place, we care about the content! And how we shall call or rename ourselves, this is not determined by our class enemies, but still by ourselves. And so, in 2009, we Marxist-Leninists renamed us Stalinist-Hoxhaists so that we would not be equated with those who used "Marxism-Leninism" as a cloak to hide their bourgeois neo-revisionist ideology. However, in 2009 we were not concerned with a formal act of renaming, but we began to understand Stalinism-Hoxhaism as a further development of Marxism-Leninism. We realized that the teachings of Marxism never cease to further develop self-critically, that Marxism has reached an absolute end neither by Lenin and Stalin, nor by Enver Hoxha. Marxism can always remain young only if there are people like us who are protecting it through constantly further developing it. “The philosophers have only interpreted the world, in various ways. The point, however, is to change it." 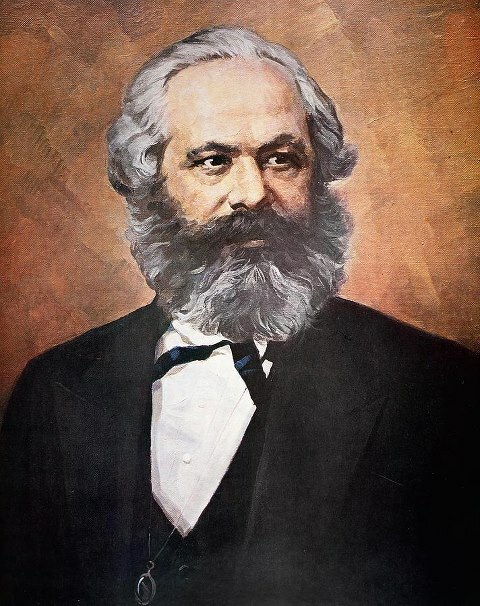 On his 200th birthday this can nothing mean others than this: The world can only be changed by means of the proletarian ideology, which will finally triumph over the bourgeois ideology. "We do not tell the world: Retreat from your struggles, they are stupid stuff; we want to shout to the world the real slogan of fight." 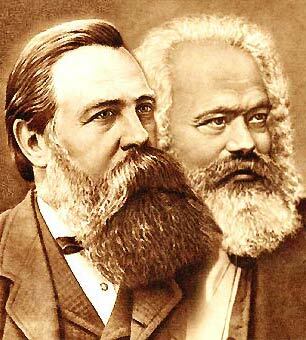 Already during the lifetime of Marx and Engels anti-Marxism developed in the fight against their teachings. 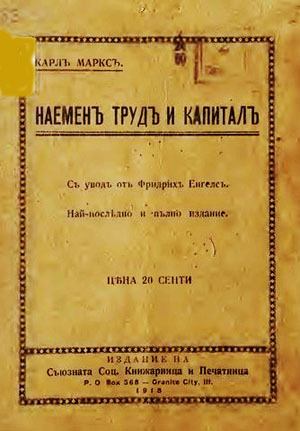 Firstly, one can not defeat Anti-Marxism unless one has studied the teachings of Marx and Engels, secondly, if one has not studied the doctrines of Lenin, Stalin and Enver Hoxha on the struggle to defend Marxism, and thirdly, if one is neither ready nor able to continue this battle of the 5 Classics in a principled way. In the time of Marx and Engels, there were the true friends who defended Marxism under the guidance of Marx and Engels, namely when capitalism had not yet reached its highest and last stage of imperialism. 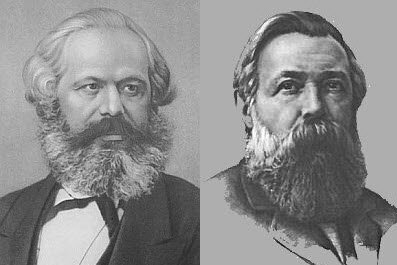 After the death of Karl Marx it was above all his close companion and friend Friedrich Engels, who defended Marx against his opponents so faithfully and brilliantly. 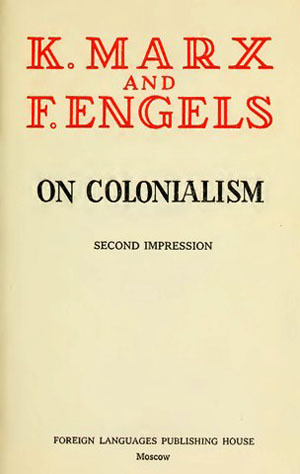 And after the death of Friedrich Engels the revisionists opposed Marxism more and more openly. Why do we mention this example of the betrayal of Kamenev and Zinoviev? Nearly the whole anti-communism is based on the denial of the October Revolution, which was supposedly only a "military coup of Lenin", and that - according to the bourgeois historians - "contradicted" allegedly the teachings of Marx. The Leninists have further developed Marxism theoretically and successfully put it into practice under the conditions of imperialism, crowned with the victory of the October Revolution. What historical place does Leninism take in the further development of Marx's proletarian ideology? 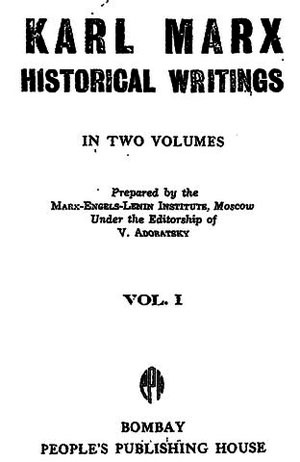 Leninism provided the theoretical and practical-historical proof of the correctness of Marxism. The opponents fight Leninism as so-called "deviation" from Marxism. 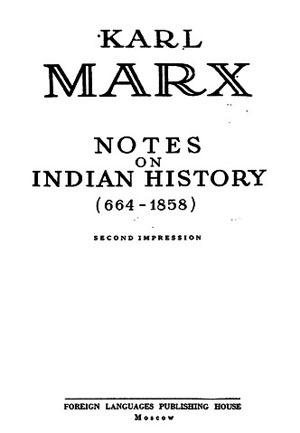 However, Lenin was conscious about the universality of Marxism and knew that Marxism can only be victorious if it is applied differently modified under the particular historical conditions of each country. In Russia he was accused because of "deviation from Marxism" , namely by those elements (the so-called "legal Marxists") who wanted to copy the model of Marxism of the West in Russia 1:1. So whoever denies Leninism can not be a true Marxist. At the time of Stalin, the fight against Stalinism was the highest stage of anti-Marxism. The opponents fight Stalinism as so-called "deviation" from Leninism. At the time of Stalin, the Stalinists were the only true defenders of Leninism, who further developed Leninism theoretically, expanding the socialist world camp over one-sixth of the earth, and defending it victoriously against the capitalist world camp. And in the Soviet Union, the Stalinists created the theoretical and practical pre-conditions for communism "in one country", as far as was possible under the conditions of capitalist encirclement. What historical place does Stalinism take in the further development of proletarian ideology of Marx? Stalinism provided the theoretical and practical-historical proof of the correctness of Leninism. With this Stalin has given a further important definition of another anti-Marxist method - the method of dogmatism. Dogmatism is the bourgeois ideology that buries Marxism alive, takes it away from the street and which banishes it from the factories, while preserving it, instead, in a historical Marx museum or discussion clubs of intellectual sectarians. It was always the bourgeoisie who has been slandering Marx for 200 years, and whose censorship has mutilated his doctrine and put him in the straitjacket of schematism and dogmatism. Stalin has consistently fought all slander against Marx throughout his life. 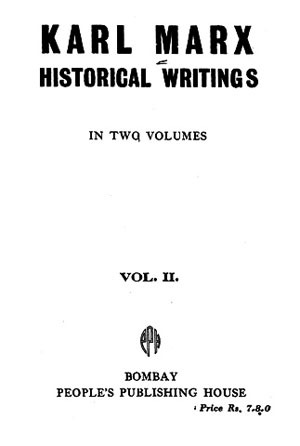 By the way, Stalin has written off the entire book "Das Kapital", with his own hands. So anyone who denies Stalin can not be a true Marxist. At the time of Enver Hoxha, the fight against Hoxhaism was the highest stage of anti-Marxism. The opponents fight Hoxhaism as a so-called "deviation" from Marxism-Leninism and set an equality sign between Hoxhaism and Stalinism. If Stalinism was revised as a further development of Leninism, then the modern revisionists logically denied the further development of Stalinism into Hoxhaism, too. Today, the neo-revisionists also do not want to know anything about Hoxhaism as an independent further development of Stalinism. At the time of Enver Hoxha, the Hoxhaists were the only true defenders of Stalinism, theoretically further developing Stalinism and building socialism under conditions of capitalist-revisionist encirclement, even in one of the smallest and poorest countries in the world. "Bernstein declared Marx outdated, and Kautsky, in speculation with the transition from capitalism to imperialism, denied the revolution. Their model and methods were continued by all the modern revisionists from Browder, Tito, Khrushchev and the 'Eurocommunists' up to the Chinese 'theorists' of the 'three worlds'. " So whoever denies Hoxhaism can not be a true Marxist. 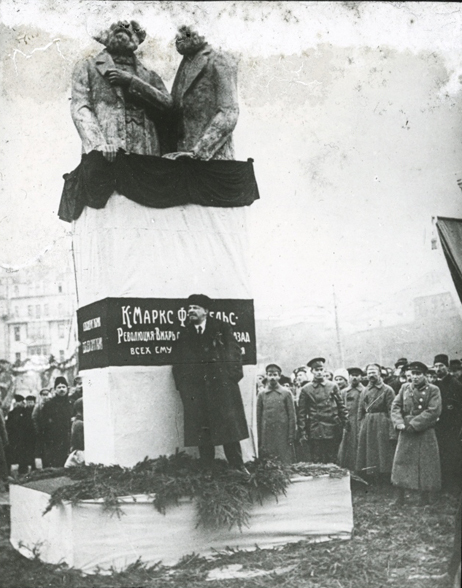 What historical place does Hoxhaism take in the further development of proletarian ideology of Marx? Hoxhaism provided the theoretical and practical-historical proof of the correctness of Stalinism. Today, the Stalinist -Hoxhaists are the only true Marxists, guided by the teachings of the 5 classics, Marx, Engels, Lenin, Stalin and Enver Hoxha. What historical place will Stalinism-Hoxhaism take in the further development of proletarian ideology of Marx? 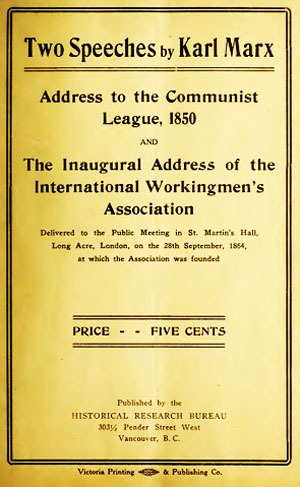 For taking a historical place in the further development of the proletarian ideology of Marx it is the task of the Stalinist-Hoxhaists to provide the theoretical and practical-historical evidence for the correctness of the teachings of Marx, Engels, Lenin, Stalin and Enver Hoxha under the conditions of globalization - namely through the victorious World Socialist Revolution, through the Establishment of the dictatorship of the world proletariat and through the construction of world socialism and world communism. Proletarian ideology is indivisible and its further development is unavoidable, as long as the world proletariat exists and must fight for its liberation. 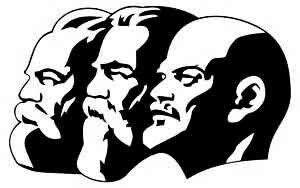 The proletarian world view was founded by Marx and Engels and further developed by Lenin, Stalin and Enver Hoxha. If only a tiny single building block of the entire proletarian ideology - from Marxism to Hoxhaism - is lost or missing, then the whole building of proletarian ideology collapses, and proletarian ideology changes into bourgeois ideology. Without the further development of proletarian ideology, without Stalinism-Hoxhaism, the liberation of the world proletariat is doomed to failure. Anyone who today denies, mutilates, falsifies or revises Stalinism-Hoxhaism can not be a true Marxist. One can not truly defend Marxism by defending only its founders, Marx and Engels, and simultaneously denying its further development by Lenin, Stalin and Enver Hoxha. Today, the spearhead of anti-Marxism is directed against us Stalinists-Hoxhaists, because we are the true defenders of Karl Marx, especially today on his 200th birthday. No one else but us Stalinists-Hoxhaists has published the largest Marx archive in the world in over 80 languages free of charge for everyone on the Internet. 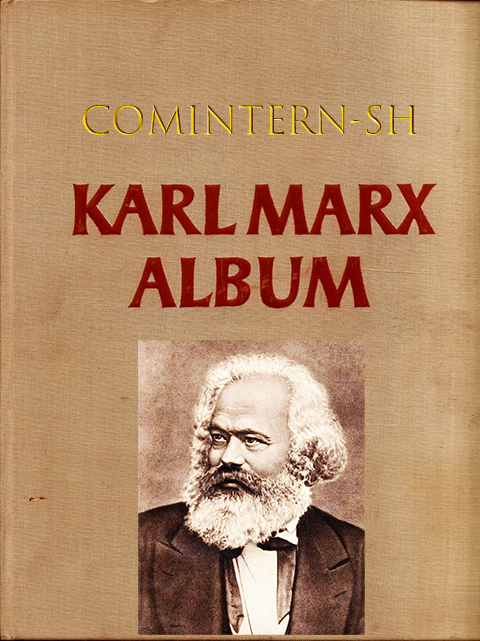 Besides, we have released the world's biggest "Karl Marx Album" for the 200th anniversary. No one else in the world commemorates the birthday and death anniversary of Karl Marx each year by applying and further developing his teachings correctly under the current conditions of globalization. In vain attempts, the bourgeoisie defined the revisionist betrayal, the restoration of capitalism, an alleged "failure of Marxism". That is a lie. The correctness of Marxism will be proved by the restoration of socialism on a world scale. Today the Comintern (SH) is the only true defender of Karl Marx and all other 4 Classics. We emphasize again, and we will continue to stress, namely that it is impossible even to defend a single Classic, without defending simultaneously all the other four Classics. Guided by the invincible teachings of the 5 Classics of Marxism-Leninism we are marching resolutely towards world socialist revolution, towards the dictatorship of the world proletariat towards world socialism and world communism. We swear to fulfill the great legacy that Karl Marx has left to us. Long live Karl Marx' 200th birthday! Long live the 5 Classics of Marxism-Leninism, Marx, Engels, Lenin, Stalin and Enver Hoxha! Proletarians of all countries - unite! World proletariat - unite all countries! Down with the open, reactionary anti-Marxism! Down with the betrayal of the revisionists and neo-revisionists of Marxism! Long live the Stalinist-Hoxhaism that enhanced teaching of Marxism-Leninism in the world today! Long live the proletarian, socialist world revolution! Long live the Comintern (SH) - the only authentic defender of Karl Marx and his revolutionary, proletarian heritage! 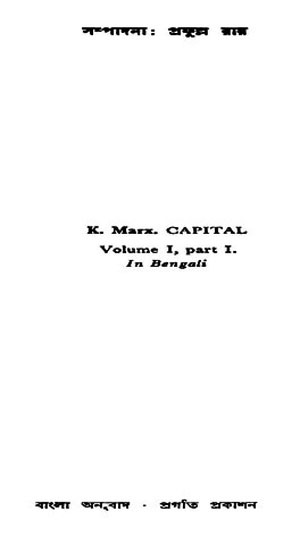 puji arthashastra bichar volume I part I.
Abridged popular edition of the three Volumes of "Capital"